Bright, long-lasting glow, the Chuckit! 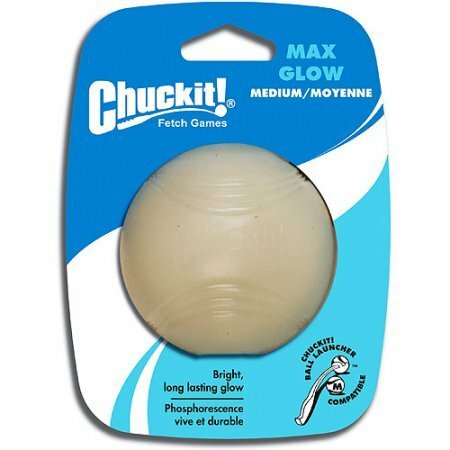 Max Glow Ball is made of high-quality materials. Allows the game to keep going when the sun goes down. Glow in the dark charges quickly under any bright light. Use in the park, in your backyard, or anywhere there is plenty of room. Made of synthetic rubber. For more information, please visit Petmate.